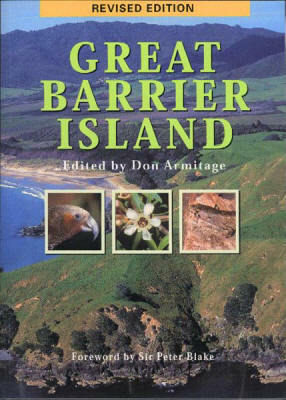 First published by Canterbury University Press in 2001 and extensively revised for a reprint in 2004, this book describes Great Barrier Island's history and natural features, including flora, fauna, habitats and endangered species, both terrestrial and marine. Profusely illustrated, it is an essential resource for all visitors to what Sir Peter Blake called 'probably my favourite island in the whole world'. Great Barrier Island is the largest island off the coast of New Zealand's North Island and the outermost island of the Hauraki Gulf. The island is comparatively undeveloped and free from many of the animal pests that have taken their toll elsewhere in New Zealand. As a result there is a superb natural landscape and a high number of rare native plants and animals as well as numerous well-preserved historic sites. Don Armitage, the editor is a Great Barrier resident, conservationist and former commercial fisherman. Contributors to this book include Alina Arkins (bats), Ewen Cameron (plants), Bob Creese (marine life), Tim Lovegrove (birds), Peter Maddison (land animals), Phil Moore (geology), John Ogden (ecosystems on land), Brenda Sewell (historic places), Graham Ussher (reptiles/amphibians) and Annie Wheeler (reserves).